BKI - As a commitment in order to prevent environmental pollution from the operation of ships, both the Indonesian flag and reflagging, the Indonesian government has ratified MARPOL Annex I and Annex II through Presidential Decree No. 46 Year 1986 and Presidential Decree No. 29 Year 2012 for ratification of MARPOL Annex III, Annex IV, Annex V and Annex VI. In the application of MARPOL Annex VI, the International Maritime Organization (IMO) to create regulations governing the energy efficiency since January 1, 2013. The regulation has been included in chapter 4 of MARPOL Annex VI. "In general, the content of the regulation is that all ships building a new and old shipbuilding with Gross Tonnage (GT) above 400 must have a Ship Energy Efficiency Management Plan (SEEMP), and then for the new shipbuildings above 400 (GT) and built after January 1, 2013 must have the Energy Efficiency Design Index (EEDI), "said Corporate Secretary Biro Klasifikasi Indonesia, Saifuddin Wijaya, at Head Office BKI, Jl. Yos Sudarso T.Priok No.39-40 North Jakarta, Tuesday (5/1). He added IMO is also in discourse to determine the Energy Efficiency Operational Indicator (EEOI) as mandatory indicators for SEEMP. Then He said, one of compliance with MARPOL Annex VI is the issuance of IEEC (International Energy Efficiency Certificate). What is the role of BKI ? Through the division of Research and Development (RnD), BKI developed a software called "GreenPADMA". This software is designed able to verify the calculation of EEDI and EEOI as an indicator for SEEMP. Saifuddin Wijaya also said BKI as a Recognized Organization/RO into effort to get fully authorized and seeks to embrace the interests of the owners and operators of vessels by issuing new services, namely the issuance of Statement of Verification of EEDI and EEOI as an indicator SEEMP, to support IEEC by RO. "This is a strategy of business that has been done by BKI related to this service. It is a software development that helps calculating emissions for the ships”, said Saifuddin Wijaya. 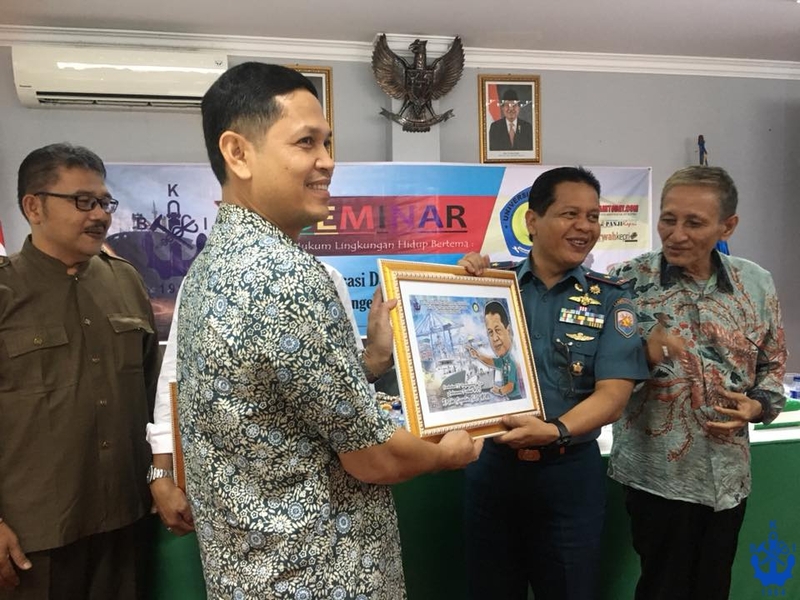 Furthermore, the Head of Research and Development Division BKI (RnD), M Zilzal said that GreenPADMA is one of the Software Dewaruci Development and it is also a computing device to quantify the index emission of a ship on the design stage [read: EEDI] and also in operation stage [read : EEOI]. According Zilzal, Software Dewaruci is also reliability of the Division of Research & Development BKI (RnD) to answer a challenge to the independence of Biro Klasifikasi Indonesia. 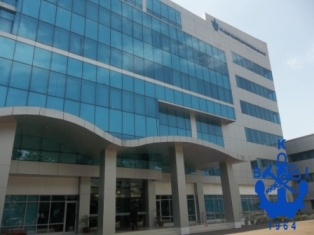 Zilzal said In the current situation, Software Dewaruci already in the good development phase significantly. "We started with the development of the first software to calculate the construction, machinery, and electricity in the ship as well as the shaft rotor blades and freeboard ship, named Palapa I", he said. Then he added to the first software is currently being developed Palapa II are still in the process. The second software is GreenPADMA. Zilzal said, GreenPADMA is equipped with superior features such as it can accommodate 12 types of ships according to regulations IMO currently (i.e. Bulk carriers, gas carriers, tankers, container ship, general cargo ship, Refrigerated cargo carrier, Combination carrier Ro-ro cargo ship, Vehicle / car Carriers, Ro-ro passenger ship, cruise passenger ship, LNG carries), also it can accommodate ships with a dual fuel engine, the LNG carrier which has additional systems such as: reliquie faction system or compressor, and then it also accommodate the application of technological innovation on the other vessels and other features. "This software can speed up the process of calculation and verification of EEDI and EEOI, compared by using the conventional calculation method. Moreover, GreenPADMA will be updated in accordance with national and international regulatory developments. It can be the prime support of BKI services ", he said. 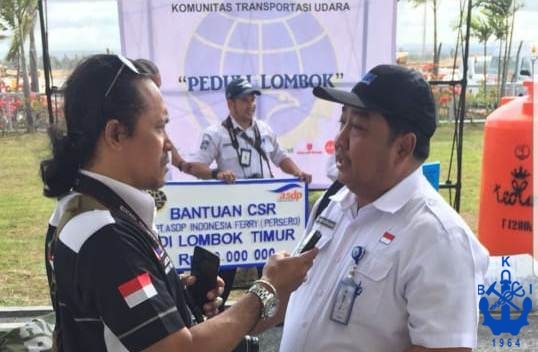 He added that with this service, BKI has demonstrated a commitment as classification society that addressing the needs of customers with the latest developmentof the rules and regulation and BKI can provide a valid and efficient services. 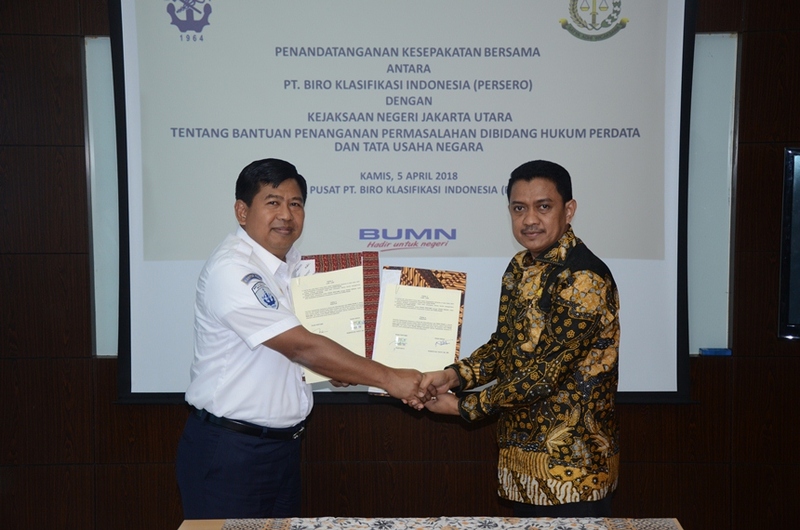 "By using GreenPADMA, BKI has been able to perform certification services, namely the issuance of Statement of Verification of EEDI and EEOI", he said. It took five years to develop software Dewaruci toward perfection. It's been asked and want to be used by stakeholders such as shipyards, but BKI is not willing, as it still takes time. "We hope RnD BKI can continue to make efforts, by supporting other division in BKi or our stekeholders, to ease service innovation and implementation of the BKI rules, and we enter an era of IT-based ship safety innovation", he said.